I cook for a family of 8 on a daily basis, and I use shortcuts to cut my time in the kitchen in half. One shortcut that I use is making my baking mixes in advance. I do this for cakes, cookies, pancakes, waffles and cornbread. Not only is it quick and easy, but it also lets me control what is going on to my family's plate because I can spell all of the ingredients and they all come out of my own kitchen cupboards. 5 minutes of prep work easily saves me 25 minutes down the road. 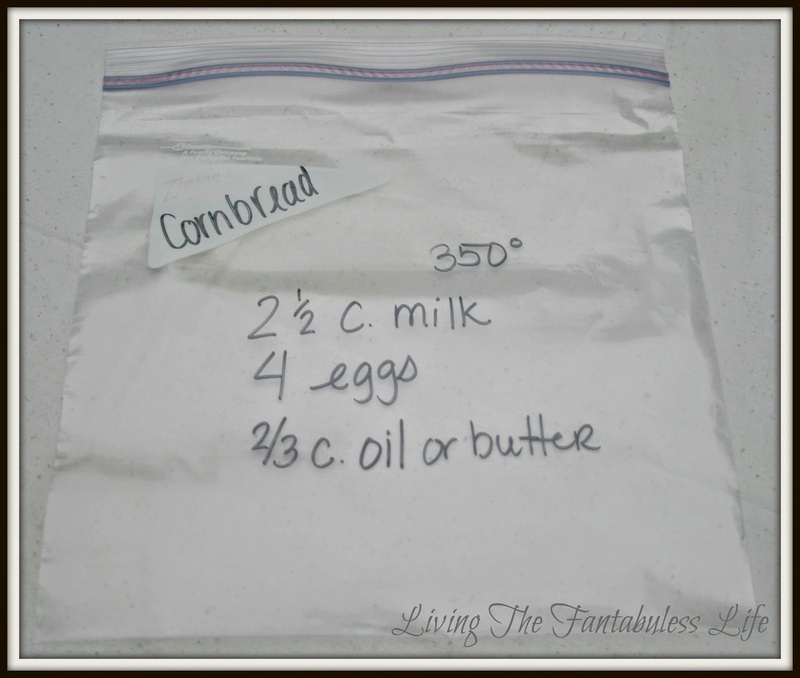 The post below is me making cornbread today. 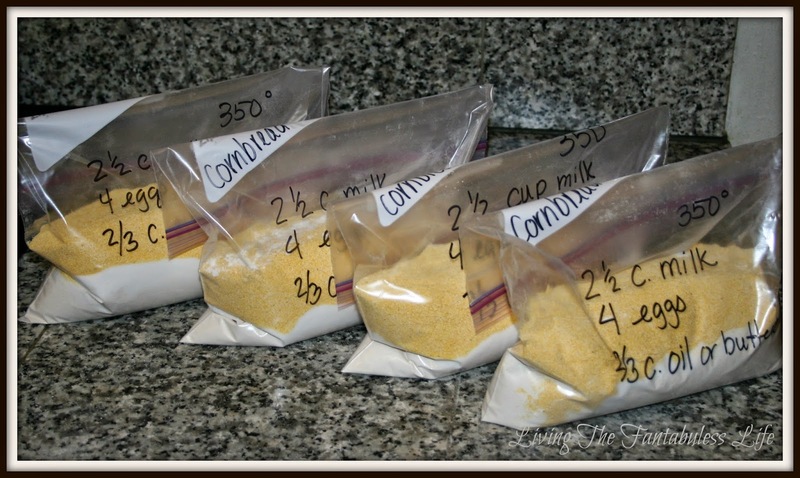 I will measure today, and have a month's worth of cornbread mix on hand. 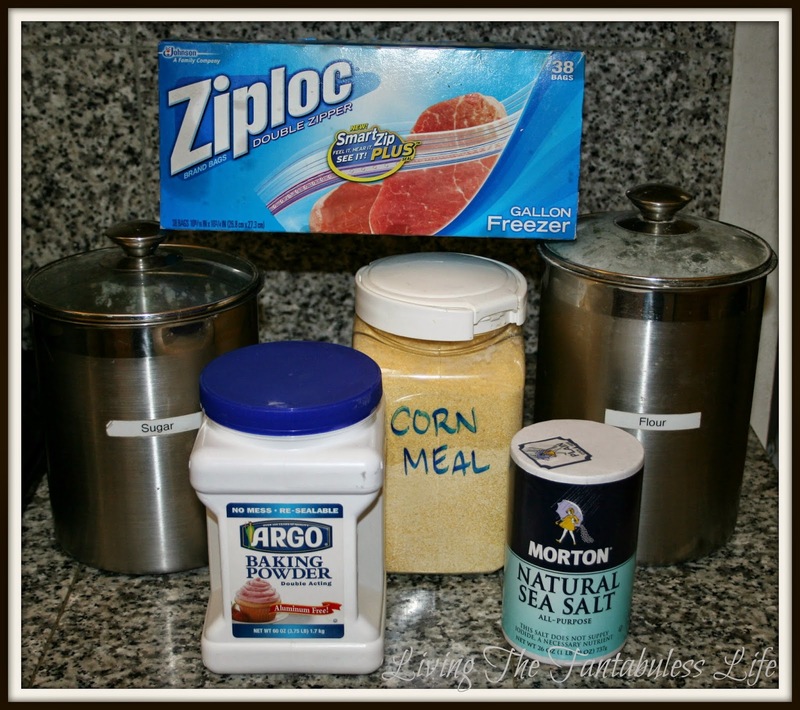 First you want to gather all of your dry ingredients and some plastic bags or containers. 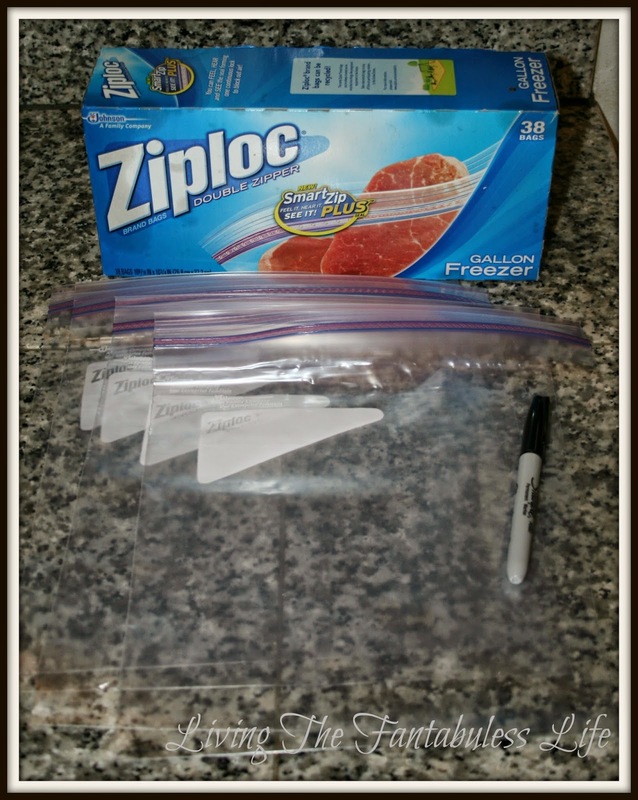 I prefer to use Ziploc bags, but you can use any brand. Since this brand is so sturdy, I reuse the bag and fill it with the same ingredients next time. 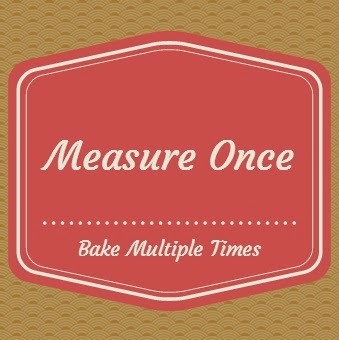 Since all of my dry ingredients will be measured out, I write the measurements for the wet ingredients, the baking temperature and the name of the mix directly on the bag. 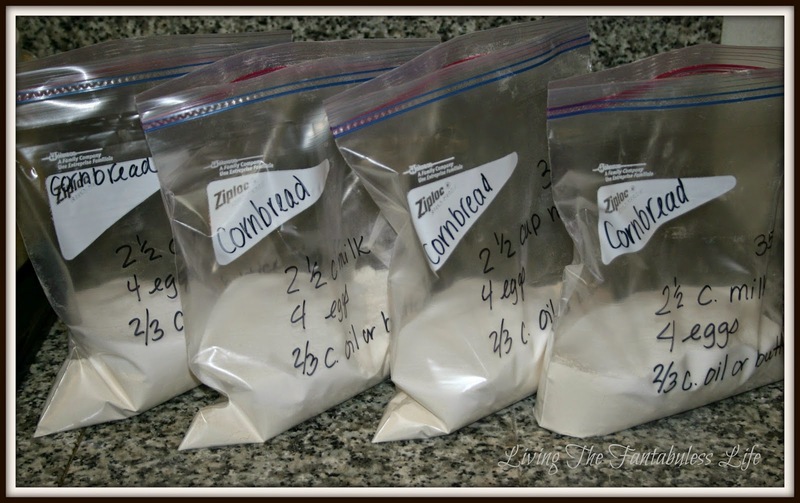 Now I line the bags up on the counter and carefully measure the ingredients into each bag, one by one. After all the ingredients have been added in, I squeeze all of the air out of the bags and this is the finished product. 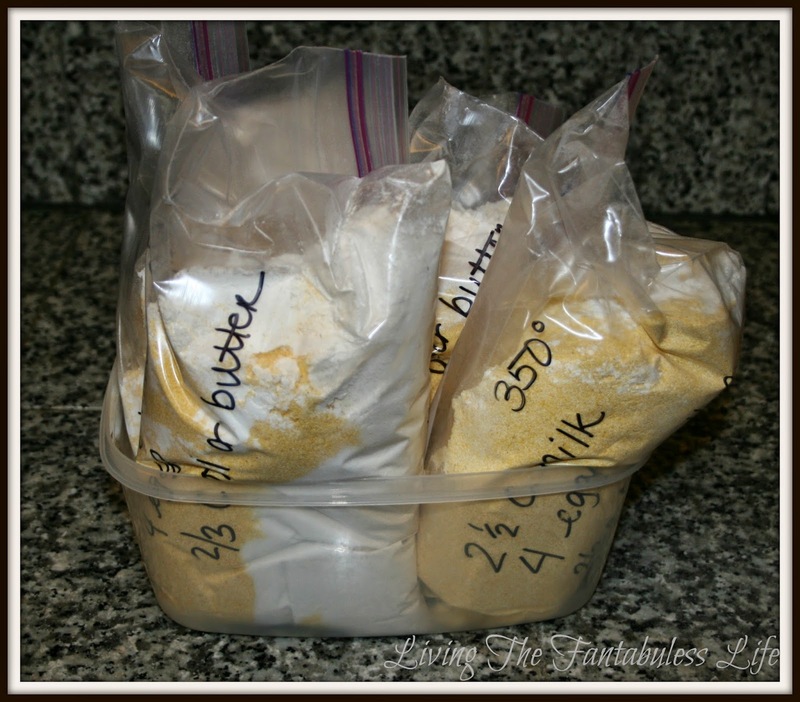 I roll the completed mixes up, tuck them in a bowl and stash them in the cabinet.